The wind energy industry requires UPS (interruptible power supply) for various reasons. These systems are mostly line-commutated and designed for a certain bridging time. Wind energy is particularly useful to emergency power systems, which always need to ensure a secure and long-term power supply in the event of a network shutdown. Beaconing systems are a typical example of this, as they also need to be supplied during prolonged network shutdowns, or during the construction phase of a wind turbine before it is connected to the mains supply. Gridion systems have been designed for these incidences. Where a loud diesel generator used to do the job, it has now been replaced by a quiet and environmentally friendly fuel cell. Gridion systems can play an important role in your backup power supply plan! Gridion systems can be utilised in many different locations, for an array of purposes. 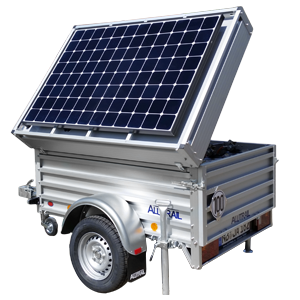 As your reliable and off-grid power supply, Gridion can be inserted as a small mobile box directly into the wind turbine gondola, or used as a trailer in front of the wind turbine. For intermediate storage, all Gridion systems use a battery which is powered by the fuel cell. 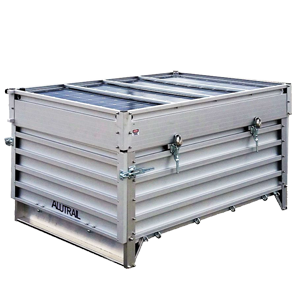 The optimum configuration of the fuel cell, battery and consumer is crucial for the economical operation of the system as a whole. 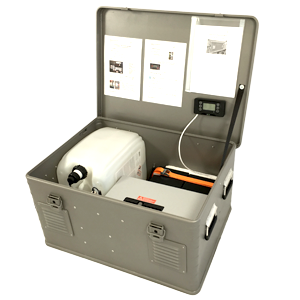 The Gridion-PB and Gridion-PT systems can be battery-charged using solar assistance. Please let our experts advise you and invest in your own customised emergency power system. Attractive daily or weekly rates are available if you would like to temporarily use any of our Gridion systems. As part of your UPS plan, you can agree to utilise part of our rental fleet within a specified reaction time.